There is a new kid on the block, the Loggia Conservatory. You may not have heard about Loggia conservatories, so we thought it’s a good time to take quick look into what all the fuss is about. Originally there were Orangeries, then came the conservatory and now we have Loggias. 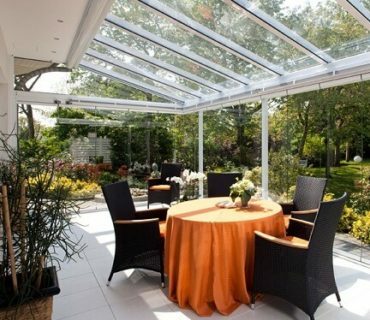 To give you a brief overview, here’s our buyer guide to what is Loggia conservatory. Credited with Italian design roots, to put the style in some kind of perspective, you can say that in terms of looks it’s sat halfway between a regular conservatory and an Orangery. Much like a regular conservatory, there is a high proportion of glass. However, like an Orangery, a Loggia will feature multiple columns or pillars. The columns in a Loggia style conservatory can vary in thickness. Sometimes dwarf walls are utilised to give the structure a more solid appearance. In a lot of cases the pillars at the corners of the room are more substantial than those that may feature in the sidewalls. The roofing design is quite similar in some ways to an Orangery. Typically, the point where the roof meets the sides is not visible at the point where they meet. There will be a detailed fascia or façade covering hidden guttering. In a lot of instances, the roof will be a 4-sided hipped design. Having said that, there is no reason that you can’t just have a 3-sided roof design. You would expect the average sized Loggia conservatory to be either square or maybe a rectangle. But if you have more room then there are other options to consider. There is no reason why you can’t build them in a T-shape or L-shape, and of course you could go bespoke. The beauty of a loggia is that, whilst it is reminiscent of an Orangery, there is nowhere near the level of complex construction needed. 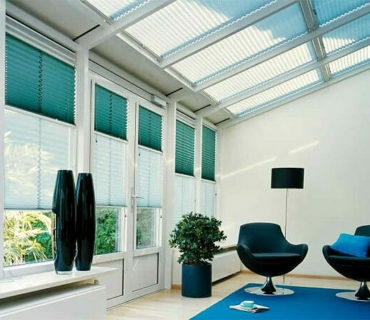 They can be installed just as quickly as a regular conservatory. Material choice for the frames is as usual. You can find them built from Aluminium, UPVC or even engineered timber. You also get the same level of choice when it comes to colour. 10 colours for UPVC is what you could expect any particular installer to have in stock. Whilst with aluminium the range can be a lot more extensive. 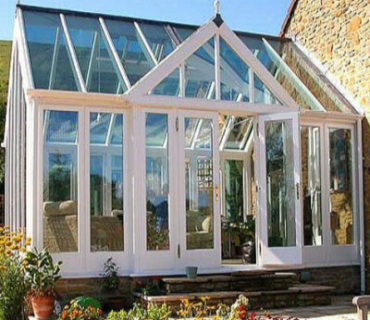 Glass is the best suited to this style of conservatory. In our opinion using even 35mm polycarbonate panels would just take away a lot of the class that this design has to offer. Whilst you could go for a tiled roof option, again in our opinion, this would just spoil the whole look and feel of what a Loggia is all about – open sided, loads of natural light (but not too much!). Loggia conservatories are supposedly the next “big thing” in conservatory design. There is a lot of merit in this. They look great and can really add value to your home, whilst at the same time giving you some classy looking extra living space.